My Monday “fix” has been attained. I can now continue with my normal day. 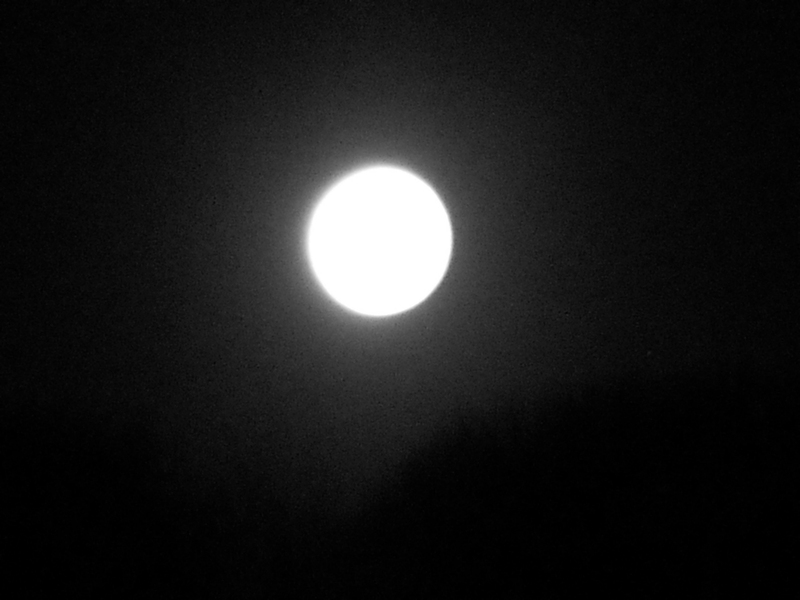 Seeing a full moon mean no rain, and I’m all for that. Have a brilliant Monday, my dear friend. That’s splendid, as I first began my regular Monday haiku slot with the intention of it being a “fix” and a positive start to people’s weeks. It is very sunny here today. I was even able to put my washing out on the line by 9 am and it is now bone-dry, which is mostly unheard of in the winter. Wishing you a brilliant Monday, over on your side of the Pond, too. my dear friend. I love this Sarah, the hint of the dark hours of the night and the dazzle of the moon. Thank you, Andrea 🙂 Those supermoons are quite blinding at that time of the morning. I thought it was well past dawn when I woke up in confusion to find my room so brightly lit! Mine captures the moon as a dot. What am really looking forward to buy though is a telescope.. Sorry I’m only just replying to your comment, but I only found it this minute as it had gone into my spam folder. My camera is a Nikon Coolpix and has the facility to wide Zoom to a magnification of 6X. It was a present from my husband, so I’ve no idea of its cost! I would say it was mid-range. It is very small but can do quite a lot. I love telescopes and for many years I belonged to an astronomomy society. I even helped grinding the lens when our society was building a telescope. My parents let us use one of their outbuildings as a workshop. Fortunately, my father was interested in astronomy, otherwise the privelege would most definitely not have been ours! The sky is very healing, any time of the day or night. I just adore cloud-watching. Love that “light emitting diode” description!